Gothenburg is widely recognised as being the night life capital of Sweden, thanks largely to its large student population who flock to the many cocktail lounges, wine bars, cask ale pubs and late night clubs. You will find the best view in Gothenburg, together with some of the best cocktails and a choice of ten Nordic ales, on the 25th floor of the Middle Tower at the Gothia Towers exhibition, congress and hotel complex. With an open rooftop terrace and fantastic 360 degree panoramic views of the entire city and Liseberg amusement park below, this is the perfect place to visit for sunset. In an almost speakeasy fashion, you will need a key for the elevator, which can be found at the Upper House hotel concierge desk, and you will need to dress up as it's also a Michelin Star restaurant. The atmosphere is obviously more formal than many bars on this list, including Heaven 23 (below) in the neighbouring tower, however it's the ideal place for a romantic date or business meeting. Open every day of the year 18:00 - 22:00. One of our favourite clubs in Europe, this former house just off the Avenyn, has many faces and forms spread over four floors. Like an amazing house party, each intimate packed room has a cocktail bar in one corner and a DJ or live band in another, serving up different genres of music. Decorated throughout like an old apartment with antique furniture, a backyard terrace offers fresh air, a coffee bar (with coffee cocktails), and a top floor all night restaurant, make this the place to be in Gothenburg, so expect to queue if you don't get there early. You'll need to be over 23 or "riktigt jävla go" (damn hot) to enter. Open Wednesday 20:00 until 03:00, Friday from 17:00 - 03:00 and Saturday 18:00 - 04:00. Other than being Scandinavia's first steampunk theme bar - think 1800's Industrial Revolution meets Science Fiction - this friendly cocktail bar boasts over 200 different beers, including fresh unfiltered, unpasteurised Pilsner Urquell, and an impressive collection of over 60 gins - many from Sweden, which bubble and steam when served with tonic over dry ice. The cocktails are equally experimental and visually pleasing, mixed by multi-award winning staff, each dressed in an array of costumes from the popular subculture. Opened in November 2014, it has since inspired bars in Helsinki, Romania and Birmingham. Open daily until 23:00 (01:00 Friday and Saturday). Opened in 2012, this extravagant boutique hotel is decorated with La Belle Epoque style furniture and antiques throughout. The lobby bar and restaurant is one of the most romantic places in Gothenburg to grab an excellent cocktail, rare wine, afternoon tea or one of 80 gins - many from Sweden. Formal and exclusive, and probably the most refined bar on our list, the likes of Ella Fitzgerald and Louis Armstrong play in the background, whilst a beautiful rooftop terrace offers the chance to catch the sun and a Champagne cellar is also well worth taking a peek at. Open daily until 23:00 (01:00 Friday & Saturday). Opened in 1900 in the square around Gothenburg's Saluhallen market hall, where the traders once enjoyed 14 beer halls and four brandy and punch taverns. "Beer Hall Number 7" is the only one that survived the Prohibition years of the Bratt System (1917-1955) where beer was rationed, alongside other alcohol stronger than 3.7% ABV. Despite a fire in 1996, the original furniture is mostly intact, including the neo-Renaissance style dark brown wood paneling and marble tables whilst, in keeping with the old licensing rules, they only serve ale. "Stranger" is a secret bar in Gothenburg, styled like a classic speakeasy but with a modern soundtrack and creative cocktails. Located underneath the Tranquilo restaurant, you enter by ringing the bell on the black door to the left of the restaurant. It's a beautiful bar, split into four rooms where "Curious Booze Hound" bartenders Robin Ogestadh, Leo Lahti and Martin Alexandersson serve up some of the best mixes in town and attract a loyal fanbase of fellow bartenders with their ever-changing menu. Open Wednesday - Saturday 18:00 - 03:00. It's also the place to be on Sunday nights, from 21:00 - 03:00. Not the first Basque influenced pintxos bar in town (there's a few), however this one makes our list of best bars in Gothenburg for its amazing cocktails, beautiful food and stunning architecture, not to mention the friendly atmosphere and rooftop terrace. Help yourself to the fresh tapas like canapes, which you eat with toothpicks whilst sipping on your perfectly mixed drink, and simply pay at the end for the number of picks you've consumed. There's no cocktail menu, as the talented bartenders make suggestions on your tastes - we highly recommend the ginger and chocolate infused Old Fashioned or the fruity "Du a Cazz". Open daily until midnight (Friday & Saturday until 01:00). Closed Sunday. When the team behind Yaki-Da (above) and Local(s) (below) bought the old auction house on Tredje Långgatan in 2014, just across the road from the touristy Haga district with its picturesque wooden houses, it came as no surprise that the development of several restaurants, bars, cafes and galleries would become the place to be in Gothenburg. Located in the courtyard of Auktionsverket, this stunning wine bar, with its white tiled walls, is the highlight of the area offering 28 wines by the glass, DJs, pub quizzes, a small terrace and a mezzanine overlooking the whole affair. The hipster friendly Kafé Magasinet, next door, offers a pleasant place to hang out if you get there before the wine bar opens. Open daily from 17:00 until midnight (01:00 Friday & Saturday). No cash. This high-end cocktail bar at Södra Vägen 20 resembles a Nordic garden lounge with lampshades knitted from sheep wool adding a cute touch and a large outdoor terrace proving popular in summer. Like the clientèle, the ten signature cocktails are amongst the prettiest in the city and there's upto 15 beers to choose from. Open daily 17:00 to 1:00. One of our favourite bars in the whole of Europe, this 1918 Mexican bordello themed bar boasts the largest tequila selection in the Nordic countries, with over 350 varieties to choose from. The popularity of Miki and Kiki Ingber's dimly lit, red curtained, burlesque style bar and Mexican restaurant has not only seen the venue increase in size - it now includes a large back room - but it also spawned a whole host of 1920s inspired copycats that have come to typify Gothenburg. From bars, to nightclubs and even hotels, seemingly everywhere in the city took inspiration from their Prohibition-era design without ever reaching the standards set by the Ingber brother's original. Waitresses in flapper dresses take you to the bar where bartenders in braces and flat caps mix some of, if not the, best cocktails in town to the sound of scratchy jazz records from the period, whilst the tasseled lampshades on the wall highlight risque vintage sepia photographs of ladies in various undress. A secret speakeasy, themed like a public toilet in the back room, has since become a venue in its own right, Basque (below). Open until midnight daily (02:00 Friday & Saturday). Closed Sunday & Monday. If you're looking for cask ale bars in Gothenburg, then this should be your first call. With 32 regularly rotated taps, alongside a selection of 50 bottles, ciders and malts, the focus is largely on the Nordic countries. Groups of ten or more can also book a beer or whisky tasting. Open daily until midnight (01:00 Friday & Saturday). 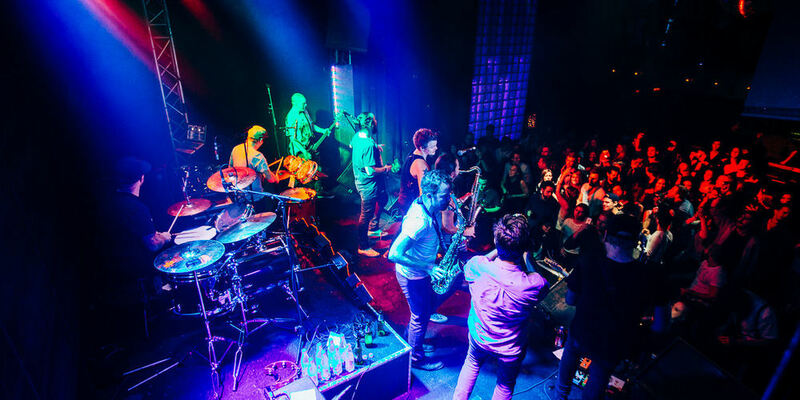 This legendary Gothenburg jazz club and popular nightclub hosts jazz concerts almost every night, with DJs at weekends from midnight until 04:00 spinning hip hop and RnB (Fridays), or pop, soul, funk and reggae (Saturdays) amongst other genres. Expect to queue for entrance to the club, which generally costs from 120kr whilst concerts vary depending on the size of the artist (check line-up). Over 20's only. This tiny Champagne bar from Ina Forssén and Hanna Öberg is hidden in a gated courtyard, to the left of popular hipster burger restaurant, The Barn. Whilst sat in the pleasant courtyard, you can enjoy an array of reasonably priced Champagnes, wines and beers (especially by Swedish standards) alongside fantastic dishes including the local speciality of fresh oysters. Open until 23:00 (0:30 Friday & Saturday). Closed Sunday & Monday. You will find this ultra stylish wine and cocktail bar at the top of the Avenyn, at the foot of the Konstmuseum (Gothenburg Museum of Art). It's decorated with its own interesting art collection whilst beautiful cocktails, beautiful wines and beautiful people make this a culture trip in its own right. The cocktails are amongst the best in town, with hand cut ice and the best service we have encountered in Gothenburg. Owned by the Götaplatsgruppen, who are also behind Bar Himmel and SK Mat & Människor (both below). Open until 01:00 daily (02:00 Friday & Saturday). Closed Sunday.. The summer pop-up bar from the team behind neighbouring Mr P (above) sits on the steps of the Konstmuseum (Gothenburg Museum of Art) at Götaplatsen, next to the Stadsteater and the Konserthus, with views looking straight down the Avenyn. DJs entertain the large crowds and, when the sun is out, there are few better places in town to grab a drink and people watch. Open in good weather Spring and Summer, from 16:00. Located inside the beautiful Feskekörka fish market, which was built in 1874 and moved to its current Majnabbe harbour location in 1910, this seafood restaurant is one of two in the "fish church". More informal than the plush Restaurang Gabriel on the upper floor, you can enjoy drinks and local specialities whilst surrounded by the four fish traders in the market hall or whilst sat on the summer terrace outside. They even offer a wine and seafood tasting menu. Only open 10:00 - 18:00 (15:00 on Saturday). Closed Sunday and Monday. One of two bars in the stunning Clarion Hotel Post, right next to Gothenburg central station, this plush upstairs bar can be found one flight up from the beautiful hotel lobby and the main Post Bar (below). With its 1925 ambience, reflecting the time of the building's construction as the city's main post office, you can relax in one of the lounge chairs or sit at the elegant bar between the tall pillars, where the Posthuset's old cash desks once stood. Together with Nordic inspired cocktails and their own roasted coffee, there is a solid wine list with the largest selection of Oregon wines outside of Oregon and an exclusively brewed "Post Lager" from the local Dugges micro-brewery. There's live grand piano music on Fridays and Saturdays from 20.30 until 01:00 and a popular brunch on Saturdays and Sundays. Whilst the cocktail menu mirrors that on offer at the more vibrant lobby bar, here the bartenders are multi-award winners who spend more time and effort in presenting each drink. Open daily until 23:00 (Friday & Saturday until 01:00). This international award-winning designer hotel bar inside the Radisson Blu Riverside would be far higher up our list of best bars in Gothenburg if it wasn't for the fact it is located in the old shipyard on the opposite side of the water from the city centre, in Lindholmen Science Park. Competition winning bartenders mix arguably the best cocktails in the city, with an emphasis on gin, whilst a separate summer roof terrace offers great views of the city over the Göta River. To get there, take the free Älvsnabbare ferry between Stenpiren and Lindholmspiren, which takes just 5 minutes and runs on weekdays up to 19:00 or the Älvsnabben pay ferry which runs every day with the last ferry back after midnight. Alternatively, it's a 15 minute (4km) bus journey over the Götaälvbron bridge. Open until midnight daily (01:00 Friday & Saturday). 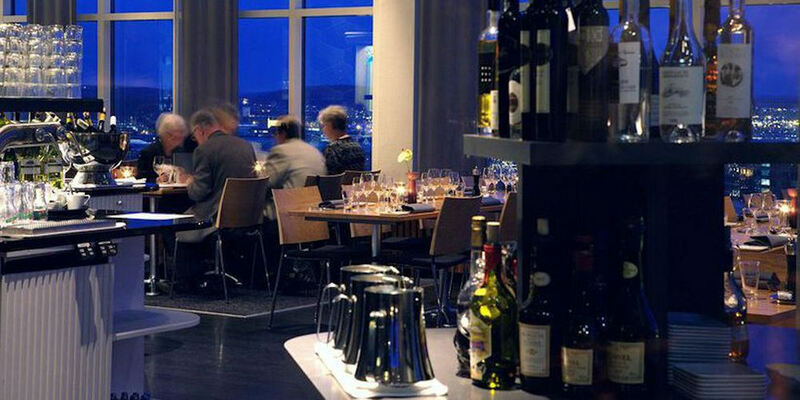 Located on the 12th floor of the Riverton Hotel, this panoramic cocktail lounge offers an impressive view of Gothenburg harbour with award-winning drinks. Popular for afternoon teas and especially at sunset with fashionable locals and tourists alike, it is easily one of the most romantic bars in town. Open daily until midnight (01:00 Friday and Saturday). This mega popular Nordic influenced bar on Viktoriagatan offers beers from all over Scandinavia and food from local producers. There's over 100 Nordic microbrewery ales to choose from including 30 Swedish, 15 Danish, 8 Icelandic, 5 Finnish and 5 Norwegian, with a beer tasting flight also available. With its large outside terrace (covered in winter), it gets incredibly busy with youngsters as the night goes on, so go early if you want a more refined Nordic experience. Open until 01:00 daily (03:00 Friday & Saturday). Closed Sunday. This ever popular nightclub can be found on the main Avenyn strip of bars and clubs. Similar to it's younger sister next door Yaki-Da (above),it is a large house of several floors offering different designed rooms and dancefloors with various music genres in each, and a popular rooftop terrace. One of the busiest clubs in Gothenburg, expect to queue if you don't get there early. Open Thursday 22:00 until 03:00 (over 22's only), Friday from 17:00 - 03:00 and Saturday 22:00 - 04:00 (over 25's only both days). Entrance ranges from 100kr to 180kr. Card only. This cocktail bar on the 23rd floor of the Gothia Towers Hotel offers a fantastic view that stretches over all of Gothenburg and Liseberg amusement park next door. A more sophisticated smartly dressed crowd are attracted by weekend DJs, creative cocktails, a large selection of local Swedish craft ales and the Nordic region’s finest selection of Austrian wines, all available by the glass and taking in famous best-sellers alongside unique wines that you won’t find anywhere else outside Austria. Open until 01:00 (02:00 Friday & Saturday; midnight Sunday & Monday). This elegant pink and gold decorated restaurant, liquor bar and terrace at the beginning of the vibrant Kungsportsavenyn street features a pyramidal glass roof where the sunlight beautifully filters through. In the evenings, the back room "Tom Tom Club", with its brass, mirrors, dark wood, stone and golden bar transforms into a glamorous party venue with DJs providing the soundtrack for the tasty cocktails. Open until 02:00 (03:00 Friday & Saturday). Closed Monday. This exclusive nightclub was opened on the Avenyn in November 2015 by the team behind the popular Peacock Dining Club, just across the road, which sadly closed in January 2016 following demolition. It's a similar intimate set up and you can only enter if you are on the guestlist, which you must book beforehand. Open Friday 22:00 - 03:00 and Saturday until 04:00. One of two bars in the stunning Clarion Hotel Post, right next to Gothenburg central station, the main ground floor "Post Bar" is a vibrant meeting place and popular After Work venue. Together with good cocktails and their own roasted coffee, there is a solid wine list with the largest selection of Oregon wines outside of Oregon and an exclusively brewed "Post Lager" from the local Dugges micro-brewery. Plush gold seating, a long bar counter and huge summer terrace are complemented with a classic jazz soundtrack whilst, every Friday "Post Work" from 16:00 to 21:00, the tempo is raised by DJs as beautiful locals flock here to celebrate the weekend with special drink prices. Open Sunday - Tuesday until midnight, Wednesday & Thursday until 01:00 and Friday and Saturday until 02:00. Enter the popular Ruby's Bar inside the posh Scandic Rubinen hotel on the Avenyn and head to the elevator in the middle to take you upto the rooftop cocktail bar, which offers some of the best views of the city, whilst exposing you to the sun's rays with its large terrace. Open Friday and Saturday from 18:00 - 01:00 in winter and everyday from 1st April through summer, 13:00 - 01:00. Closed Sundays. Whilst this is maybe a chain pub, it's a beautiful venue that predates many other buildings in the city. Named after the English priest who lived in the city during the 1700's, it shares the same local owner as Kopparberg cider, Peter Brosnan, and is one of four John Scott bars in Gothenburg, with another in Stockholm. A grand old building, there are 14 beers and 2 Kopparberg ciders on tap, surprisingly a rarity in the city where English dry cider seems to be the choice. There's DJs and live piano music Thursday to Saturday and a huge terrace with beer tent proves popular with shoppers from the Nordstan mall next door. Open daily until late (03;00 on Friday & Saturday). This old sailor's pub on the opposite side of the water from the city centre in Lindholmen dates back to 1918 and is the last of its kind in Gothenburg, even if the shipyard workers and ladies of the night have long since gone. Located amongst the beautiful renovated old wooden houses on Slottsberget hill, the outside terrace offers a great place to soak up the sun whilst the plankstek and fiskgratäng (fish casserole) Sunday lunches prove popular. To get there, take the Älvsnabben ferry from Stenpiren to Lindholmspiren or, if you want to walk over the scenic hill, disembark at Slottsberget. Last ferry back after midnight. Alternatively, it's a 15 minute (4km) bus journey over the Götaälvbron bridge to Sannegårdshamnen. Open until midnight daily (01:00 Friday & Saturday). Opened in spring 1858, as a punch café and live music pavilion, this stunning building has been transformed over the years, with a concert hall being added in 1887. In 1965, the building tragically burned down but was rebuilt in time to host ABBA's first ever live performance in 1970. As well as many other famous bands, it also played host to the Yaki-Da club night in the 1980's, which went on to become a club in its own right (above). Another fire destroyed the building in 1994 and it took four years to be rebuilt as the modern looking restaurant, club and live music venue which it remains today, overlooking the Trädgårdsföreningen gardens. Club nights every Saturday from 23:00 - 05:00 with other events throughout the week (see calendar). The most popular LBGT bar in Gothenburg, they call themselves "Straight Friendly" as a reflection about the meaning when you place people in different boxes. Located on the outside of the historic Saluhallen market hall, it's a busy venue with people of all genders and sexuality. Outside seating offers a chance to watch the world go by. Open daily until midnight (03:00 Friday & Saturday). Named after Swedish film icon Greta Garbo, the oldest gay club in Gothenburg offers two large dance floors with 70s, 80s and 90's hits mixing with pop and disco. Open-minded straight-friendly, this is one of the best party nights in town with later closing times than many other venues. Open Friday 21:00 - 03:00 and Saturday 22:00 - 05:00. Normally a venue themed around San Sebastian in the Basque region of Spain would not make our list of the best bars in Gothenburg, however this "Pintxos & ölhall" from brothers Miki and Kiki Ingber is well worth visiting. Originally a public toilet themed speakeasy, the secret back room of their highly influential Puta Madre bar (above), it soon became a venue in its own right. The white tiled walls, copper pipes and one of the old lavatories remain, however now the focus is on craft ales and the small Basque dishes. Open until midnight daily (02:00 Friday & Saturday). Closed Sunday & Monday. This night club on the Avenyn from the team behind Stockholm's most famous club, Sturecompagniet, opened in 2008 and continues to attract the most beautiful crowd in town who flock here for the mix of house, disco and 80s hits. The interior is lavish and a summer rooftop terrace is also a popular place to party the night away. Strict door policy so dress up. Open Friday 22:00 - 03:00 and Saturday until 04:00. One of two venues in the beautiful Hotel Pigalle, this ground floor bar transports you back to the 1800s with its dark wood, marble, chandeliers and plush seating. Doubling up as the reception desk for the hotel, staff wear period dress whilst a stuffed stag's head watches on from the antiquarian book shelves above. When Michelin Star chef Björn Persson opened this delightful wine bar below his Kock & Vin restaurant (now called KOKA), in 2006, it quickly became one of our favourite bars in the whole of Europe. The concept was unique; an intimate space where the chef worked behind the bar alongside the bartenders, preparing dishes of Swedish bleak roe, delicious cold cuts, foie gras and the best cheeses. Sadly, following a refurb in 2013, the concept was lost, with the chef moving into his own kitchen space (for health & safety reasons). That said, it still remains one of the best wine bars in Gothenburg, with Swedish oysters, French cheeses and Spanish sausages served alongside hundreds of fine wines (25 available by the glass) and local beers. Open until 01:00 daily (03:00 Friday & Saturday). Closed Sunday. "Three Small Rooms" is without doubt the cosiest bar in Gothenburg for beer lovers to get intimate with a huge choice of rare ales whilst enjoying a soundtrack of jazz. Iranian owner Reza Ganon hand picks the 18 draft beers and ciders, together with the many bottles which fill the cabinets, and has a strict policy of "Don’t Ask For Blask” (blask being Swedish for "dishwater" and slang for tasteless mass-produced beer). The sign above the bar stating “Carlsberg and Heineken Free Zone” reinforces the fact and you'd be hard pushed to even venture in that direction with the choice he offers. Open daily until late (midnight Friday and Saturdays). Closed Sunday. Moving into the premises vacated by Barrique on Lorensbergsgatan, this wine bar and restaurant from Magnus & Magnus sommelier Daniel Gremlin offers up to 30 different wines by the glass, with events hosted by different winemakers throughout the year. Open daily until 24:00 (02:00 on Friday and Saturdays). Closed Sunday. OK, it may be more backstreet Marseille than harbourside Gothenburg and it's also one of a chain of French petanque bars around Sweden, however we love this place, so it only seems right it makes our list of best bars in Gothenburg. Located next to the famous Feskekôrka (above), a fully French bar serves up Kronenberg beer, cidre, French wines, and a large collection of pastis alongside French cuisine to the teams of friends and work colleagues competing on the many boule courts. Pre-booking essential for games. Open daily until 23:00 (Friday & Saturday until 01:00, Sunday until 22:00). Burger and beer bar "Twenty-One Twelve" is owned by Peter Iwers and Björn Gelotte from the famous Gothenburg death metal band. Offering a soundtrack of classic rock and over 100 different ales, with 18 on tap including five local brews, there's a great whisky collection and the burgers have been described as the best in the whole of Sweden by the respected White Guide. Open daily until 01:00 (02:00 Friday & Saturday). Inspired by New York's famous Meatpacking District, this cocktail bar and steakhouse boasts an industrial minimalist interior complete with liquor bottles hanging on meat hooks. A selection of fantastic Bloody Mary's and DJs entertain a beautiful fashionable crowd whilst bottled beers are served in classic brown paper bags. Open daily until 02:00. Closed Sunday and Monday. This collaboration between Gothenburg microbrewers Dugges and All In Brewing focuses on Swedish craft beer with artisan seven year old wheat sourdough pizza. Located on the fashionable Tredje Långgatan, there's 14 beers on tap, which are available as 20cl servings, allowing you to sample a few, with a further 70 in bottles and a great selection of wines by the glass. Open until midnight (01:00 on Friday & Saturday). This neighbourhood pub, a short walk from the vibrant Andra Långgatan and Tedje Långgatan streets, offers probably the biggest beer selection in Gothenburg with over 350 bottles, and a further seven on draft. An outdoor terrace together with an upstairs room which hosts pub quiz and karaoke nights make it a popular place to visit. Open daily until 01:00 (02:00 Friday & Saturday). Closed Sunday. This long-standing cocktail bar has been a popular venue on the Avenyn since it opened in 2006. Located next to Carl Fredrik Reuterswärd's famous Non-Violence gun statue on the crossroads with Engelbrektsgatan, electronic DJs entertain the young crowd who come here for good cocktails and a popular terrace. Open Thursday - Sunday 18:00 - 02:00 (and during the week in summer). Whilst one of many English theme pubs in Gothenburg, this beautiful old venue on a quiet backstreet next to Göteborgs Universitet is worthy of note for its 140 different beers, twelve of which are on tap including their own brew. There's a large choice of whisky and big screens show live sports. Open every day of the year from the afternoon until 24:00 (02:00 on Friday and Saturdays). It's no secret that the Swedes enjoy their quality wines and the offering in even the simplest of pubs can often include the most prestigious houses from the Alsace, Bordeaux, Bourgogne, Piedmont, Tuscany, Rioja, Wachau and elsewhere. Therefore it was no surprise that when this wine bar opened in 2005 it soon outgrew its original location on Lorensbergsgatan and has since moved around the corner to bigger premises. A WAPAS (wine & tapas) menu is complemented by Champagnes, oysters, cocktails, cheese, local beers, and wine flights of four 5 cl. glasses. The small bar largely acts as a waiting area for the fine dining restaurant and brasserie.